From January 22-25, 2019, Princeton Day School hosts Cancer Awareness Week, a week of events to acknowledge all those in our community who have been impacted by cancer. Head of School Paul Stellato, who officially returned to campus on January 2 after a medical leave for cancer treatment this fall, inspired students, faculty and staff to raise awareness about cancer's reach and demonstrate support for those affected. As Mr. Stellato said in his remarks to students upon his return, "Every effort to eradicate this disease is an effort behind which there are stories as well." The goal of the School’s Cancer Awareness Week is to offer a message of love, hope and caring for every cancer journey. One of the most visible aspects of Cancer Awareness Week centers around lavender, the official color of cancer awareness. Throughout the week, PDS students and faculty will wear lavender shoelaces supplied by the School. PDS Middle and Upper School sports teams are wearing these laces for games January 22-25. For the annual Boys Varsity Ice Hockey game against rival Lawrenceville, T-shirts created annually by and for students feature the lavender loop for cancer awareness this year, and proceeds from the sale of the shirts will go to Memorial Sloan Kettering Cancer Center. This traditionally well-attended game is open to all who wish to attend. It will be held on January 24 at the Hobey Baker Memorial Ice Rink at Princeton University at 6pm. Other Cancer Awareness Week student-led initiatives include posters, student-created healthy snacks, a pep rally for Upper School students and educational efforts geared toward Lower School students developed by their Fourth Grade student service leaders. Please explore this page for related news, photo galleries, and a schedule of Cancer Awareness Week events, including an exciting series of games in which PDS athletes will be sporting their lavender laces. We invite the Princeton Day School community to join in sports game opportunities throughout the week of January 22-25 to raise awareness for cancer and support our Panthers! "You are the core of our community, the heart that keeps us true, to ourselves and to each other. Mr. Stellato, we, your PDS family, PreK through Grade 12, love you so, so much. Today, to show you our love, we present to you over a thousand paper cranes made by every single student at Princeton Day School." Student Council President Rakesh Potluri '19 at the January 24 Upper School Gathering in McAneny Theater. Cancer Awareness Week at Princeton Day School officially begins on Tuesday, January 22. Follow all of the initiatives and coverage on our Cancer Awareness Week landing page and join us to help spread the message of love, hope and support for all those touched by cancer in the PDS community and beyond. Princeton Day School is shaping a week of events to acknowledge all those in our community who have been impacted by cancer. Cancer Awareness Week, which will occur January 22-25, is the School's opportunity to welcome back Head of School Paul Stellato, to raise awareness about cancer's reach, and to demonstrate our support for everyone who has been touched by this disease. Among the cross-divisional and student-driven Cancer Awareness Week efforts in the works: PDS students, adults and sports teams will wear lavender cancer-awareness laces in school and at sports games held the week of January 22-25, including the annual Boys Varsity Ice Hockey game against rival Lawrenceville at Princeton University's Hobey Baker Memorial Rink on January 24. Student Council members meet to plan Cancer Awareness Week activities. From left: Rakesh Potluri '19, Zaiya Gandhi '20, Morgan McNulty '19, Krithika Vasireddy '20, Alexandra Glezer '20, and Spencer Knerr '20. 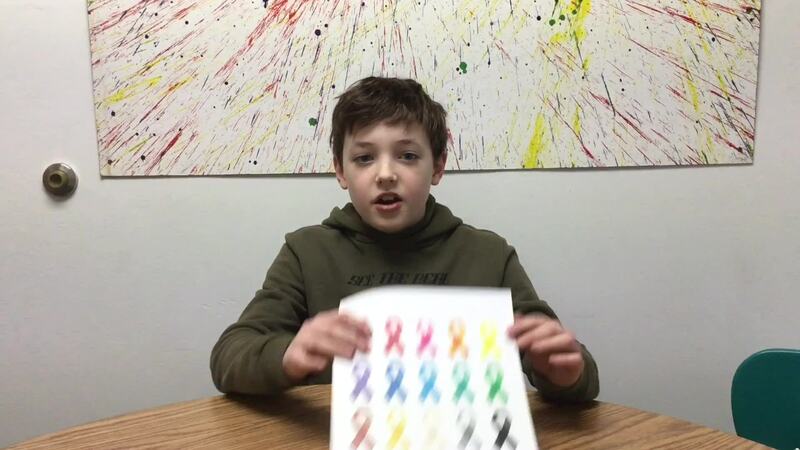 4th Grade students created a Public Service Announcement to educate younger students about cancer and to mobilize the Lower School in support of Cancer Awareness Week. 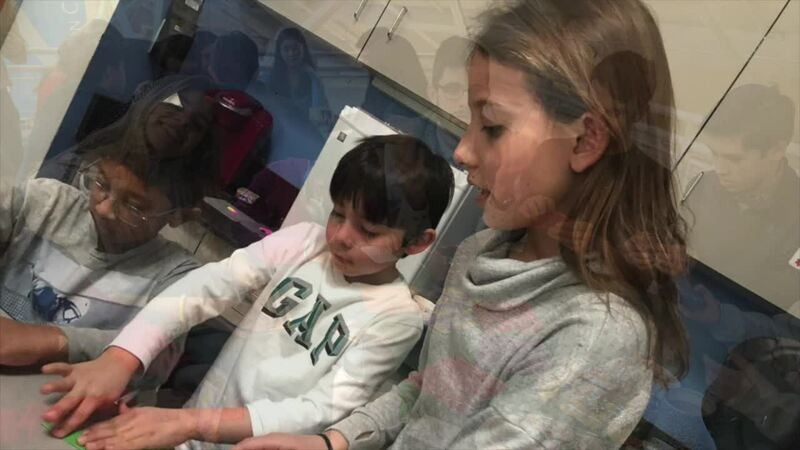 Students in all grades learned to make origami cranes as part of a school-wide gift to Head of School Paul Stellato, inspired by the story of Sadako and the Thousand Paper Cranes. The cranes were presented as a surprise in Upper School Assembly on Thursday, January 24 by Student Council President Rakesh Potluri '19.